CREPUSCLE: “DRACONIAN WINTER” RICHES FROM LONDON AWAIT! 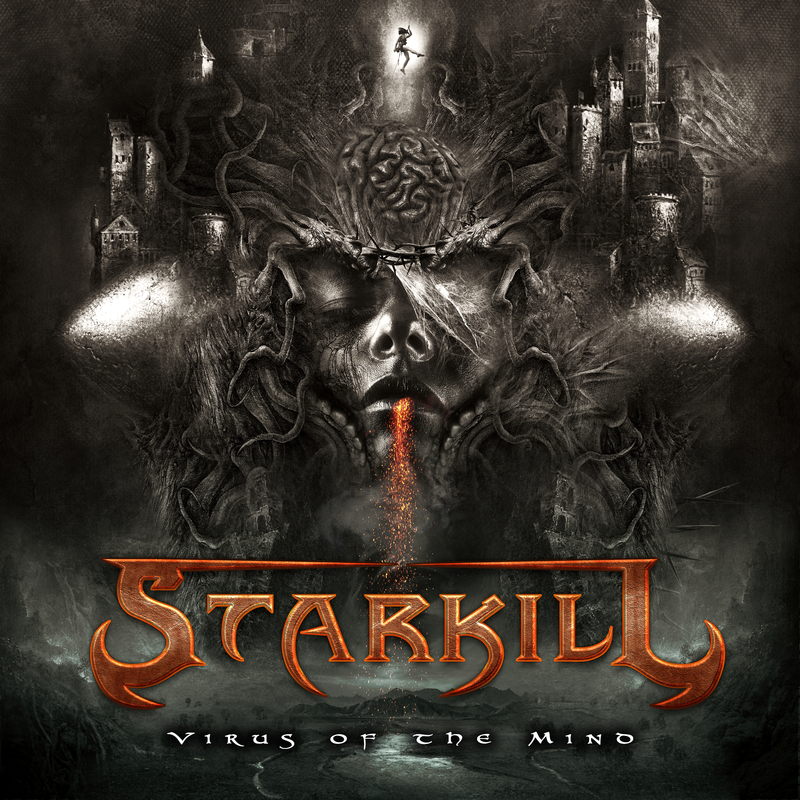 Eighteen months after the release of their debut album Fires of Life, Chicago’s Starkill have come roaring back with their second album Virus of the Mind, scheduled for release next week by Century Media, and today we’re giving you a chance to hear it from start to finish. Speaking of starts, the fast-paced orchestral introduction to the album’s first song, “Be Dead or Die”, is about as blood-pumping a start to an album as you’re likely to hear this year. And the adrenaline rush doesn’t let up. Whether the band are ripping like razors or vaulting into the stratosphere with soaring choruses, they keep the energy in the red zone. The album is loaded with infectious riffs, fret-burning melodic solos, and blistering drum work, along with swelling orchestral overlays, string-and-piano duets, and the sounds of such things as a harpsichord and erhu. And this time, along with lacerating (but intelligible) growls, the vocals include clean singing that adds another layer to the music’s dynamism — as well as a pronounced black metal influence on “God of This World”. These gents may be from Chicago, but there’s a lot of Finland in this album: Fans of such bands as Amorphis, Wintersun, Children of Bodom, and Nightwish should all find things to like in Starkill’s brand of guitar-and-keyboard-driven melodic death metal. And fans of classic heavy metal should get some big smiles from the arena-ready guitar harmonies and solos. 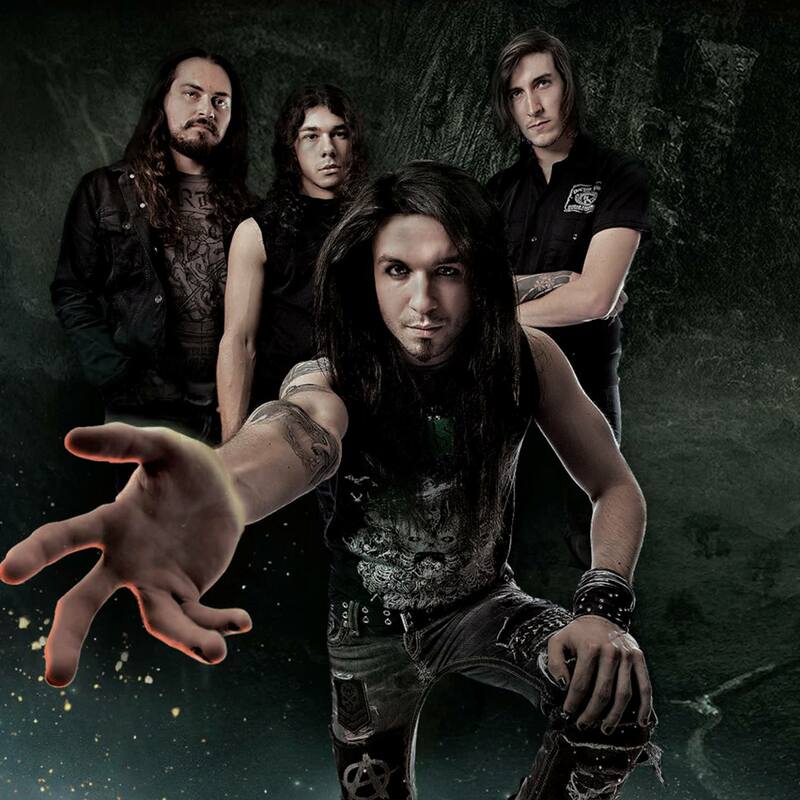 Virus of the Mind will be released by Century Media on October 14. It can be pre-ordered here (NorthAm) or here (EU) from CM Distro. Enjoy the full-album stream below. I’ve heard last years debut once, but I had forgotten. Thus this took me by surprise with its tons of good old heavy guitar work. Gonna have to check this one out more whence I get the time. I give it to listen on SoundCloud and I want to say that I am surprised that they change their style a bit. If it was their first album I would give them 8 of 10 but because I like their previous style more I giving them 7 of 10. For Fires Of Life I gave them 10 of 10. God Of This World is the best tracks on the album. OK. after listening to album a few more times I am giving them 8 of 10.